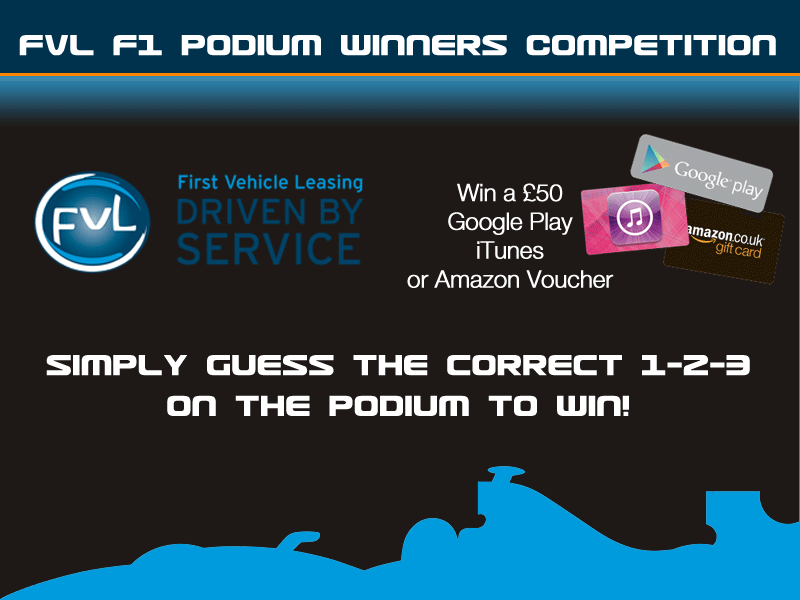 The prize for a correct entry is the winner’s choice of a £50 value of either an iTunes Gift Card, a Google Play Gift Card or an Amazon Gift Card. A winner will be drawn at random if more than one entrant correctly posts the winning 1-2-3. This entry was posted in Formula 1 and tagged #f1fvl, F1, formula 1, formula one by David Petherick. Bookmark the permalink.